Millet is appreciated for the high content of minerals like silicic acid, potassium and magnesium that allow to get a refreshing effect for the summer but also a source of heat for cold winter months. Thanks to its softness, millet's husk is ideal to fill tender and wrap-around pillows, giving total comfort to the nape. 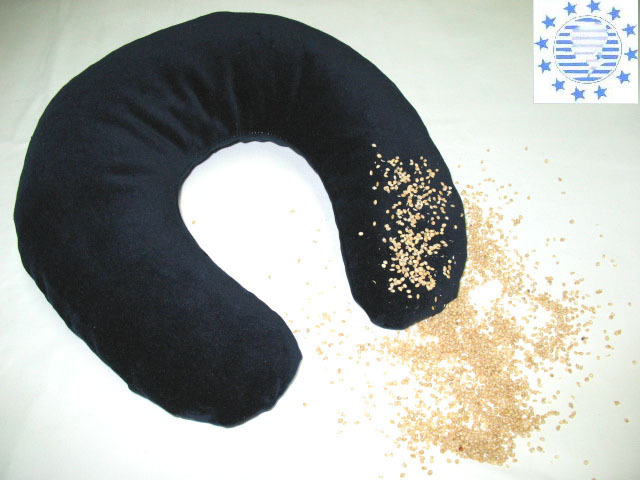 The neck-pillow is particularly suitable as headrest in your car or in train, while watching tv or simply during a relaxing break in armchair. You can obtain benefits against headache, sore throat, cervical, muscular contractions or stiff-neck. FILLING MATERIAL: millet's husk of biological growing (Origin: Germany). SIZES: about cms. 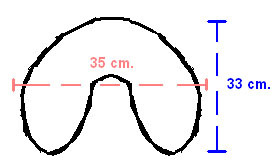 35x33 (see the picture). - CORNETTO with millet's husk.